When it comes to her daughter Isabella, Mariel Rodriguez admits to always giving her all. For her little girl's second birthday, the It's Showtime host threw a grand Disney-themed party at the Blue Leaf Events Pavillion in Taguig City yesterday, November 18, 2018. According to Kaye, the party decors included "2ft Minnie Mouse topiaries just like the ones at Disneyland." Spotted at the party were Isabella's sister Kylie Padilla, who came with Aljur Abrenica and Baby Alas, and Queenie Padilla. 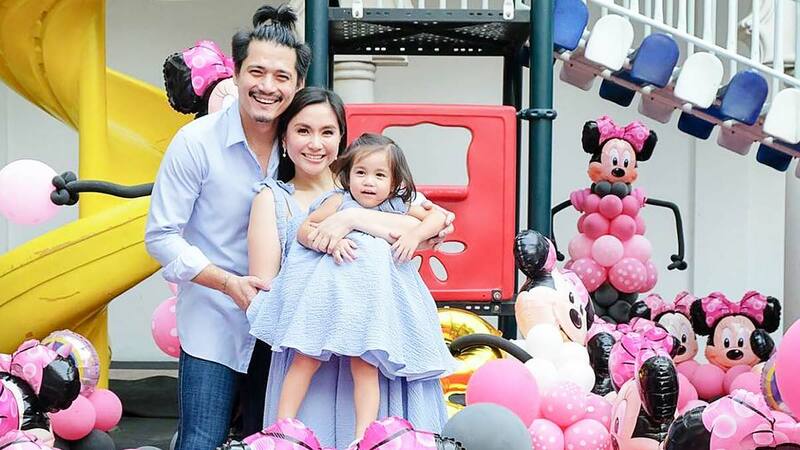 In an Instagram post a day before Isabella's birthday, Mariel revealed Robin Padilla's gift for their little one. Part of her caption reads, "People are always asking me what is Robin doing lately. He is busy turning our home into Isabella's personal Disneyland." She added, "Ako I am busy with her party, a 1 day event, but Robin...he thinks long term what Isabella will enjoy every single day."